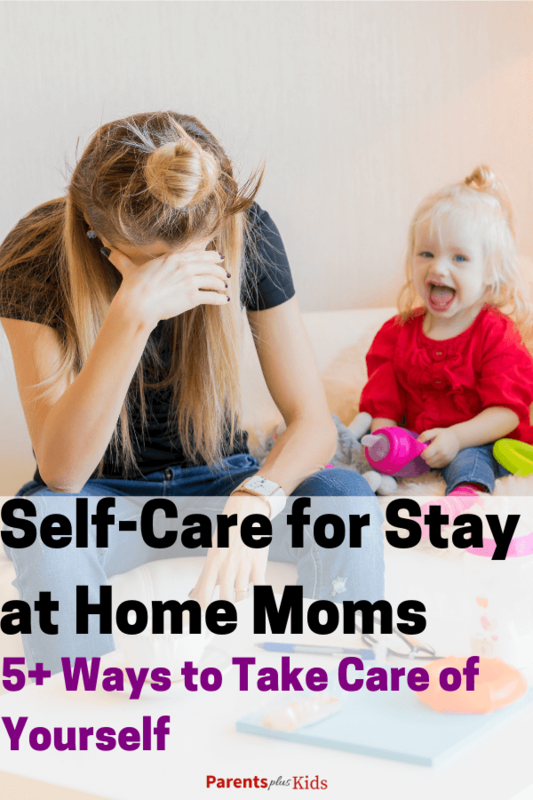 This article is going to give you some tips on self care for stay at home moms. Because we know how selfless stay at home moms are. *disclosure: some of these links might be affiliate links. Moms all around the world feel that staying at home to care for the kids and managing home life is a rewarding experience, but this doesn’t escape the fact that it can be really challenging. Among the many challenges faced by stay at home moms, losing oneself is perhaps the most common. Many moms feel that putting themselves last is the thing they do best. There’s a pile of laundry to do, meals to fix, dishes to clean, dirty diapers, and the fact that your kid or kids need you all the time. However, taking care of yourself is vitally important. You already know this, don’t you? In fact, you know this all too well. The pressures of meeting everyone else's needs can lead to a version of yourself that feels foreign. This drained version of ourselves does not provide the care we would like, and can even lead to resentment and bitterness towards the job we treasure! Then comes the guilt we place on ourselves. And oh how we are good at feeling guilty. Thing is, self-care is a difficult thing to do, especially if there are other things you feel are more important to tend to first. What we need to do as mothers is figure out a way to take care of ourselves in the midst of taking care of everyone else. Ideally this would mean a spa weekend… a girl can dream can’t she! Maybe we can’t get away for a weekend, but we can carve our special times throughout our week to maintain our own personal health. It won’t be easy. It isn’t impossible. It takes determination. If you have a partner or spouse, try and discuss what an equal partnership looks like. Do you constantly feel like you’re drowning? Are your responsibilities divided equally? It’s important to have a compassionate, honest, and open conversation if you’re living with your significant other. Look for fulfillment that’s separate from home life. Even the smallest activities that don’t involve your child or partner matter, such as doing volunteer work or taking an art class. Discuss meeting for coffee with a friend on a weekly basis. It’s important to feed your own soul so you’re able to feed those who count on you. Having a baby at home doesn’t mean that you have to give up sleep. You can sleep or rest when your baby is sleeping, or ask somebody you trust to watch over the baby while you take a nap: THIS IS NOT CHEATING!! For older kids, have them get used to a regular sleep schedule. If you’re having trouble with sleep schedules, consider consulting a sleep specialist. Are you unable to fall asleep because of anxiety? You may need to talk with a doctor or therapist. Take into account what’s preventing you from sleeping and tackle one issue at a time. If you’re too tired to clean, hire a cleaning service once or on a regular basis. This will help lessen the stress and at the same will allow you to spend more time with yourself and your children. You can also hire a babysitter or ask someone from the family to watch the kids while you clean. Being a SAHM doesn’t mean you have to clean and be with your kids all the time. Spend time with other SAHMs. You can always schedule a playdate or join a mom group. Your church or local recreation center may already offer these types of groups. If you can’t find one already organized, create one yourself! Meet together and talk about a book! It’s important to have a support network that you regularly interact with. It’s fine to have changes in your schedule. While your baby is napping in her car seat, chat with a friend or make time for a quick bite. While waiting to pick your kid for lunch, go for a walk and enjoy some me time. These little things can help you relax. You don’t have to spend the whole day at your house. Take your kid with you for a walk or to meet some friends. Grab some ice cream, visit the zoo. Check your community’s event calendar for scheduled events. Accept the fact that there will be good days and bad days. If you’re having a hard time, don’t beat yourself. It’s always helpful to keep in mind that this particular stage does not last forever. This will pass! Self-care will take a different form for every individual person. Your self care may look completely different than mine. Being mindful of activities that energize you will be a great indicator of what self-care means to you. If you’re having trouble coming up with a list of self-care activities, ask someone who loves you and has your best interest their opinion. Often times they have a perspective we cannot see. Stay-at-home mothers see red each time anybody reveals to them they're fortunate to get "to stay home throughout the day" like they are simply sitting on the couch watching TV. What's more, the subject of what they do throughout the day ought to never pass anybody's lips in light of the fact that there is a LOT to do. One of the issues SAHMs have about running a family with children is the manner by which to be organized and productive. With so much to do every day, we can easily get lost in the middle of the mess. Good news, we have some great tips! Most schools and workplaces thrive on schedules. This type of organization is fundamental outside of the home, and I would argue inside the home as well. Taking 5 minutes every morning to create a schedule and to-do list will guide you through a productive day. 5 minutes alone can be close to impossible to find, but strive to find it! This could mean waking up 5 minutes early, during first naptime, even in the bathroom if needed! Keep your schedule reasonable. Create a to-do list that includes simple goals, maybe even a slow-pitches to motivate you to keep on going! There is no reason drinking coffee cannot be on the list :-). Don’t forget to add social goals as well. Remind yourself to text a friend who is going through a rough time. Children have ebbs and flows of energy levels throughout the day. Meal and play times are high energy activities that produce high noise levels. Nap time is low energy at quieter noise levels. Try to match your (energy) schedule with theirs. Clean dishes during play time. Read a book during nap time. It’s tough to know when your child is ready to help out around the house. The earlier your children can contribute to the maintaining of the house, the better. While the exact age will vary, most children will be able to start performing simple chores around age 2-3. Remember to stay consistent and offer praise! When starting off with schedules and goal, make sure to be honest about your limitations. A good place to start setting sensible expectations is your past history. Have you been able to clean the entire house in one day in the recent past? How long does it typically take you to get all the laundry clean and put away? Should grocery day come once a week or should it be twice a week? Enough rest is crucial for the children — and their caregivers! Mothers recognize what absence of rest can do to you, yet we still attempt to push through at times! Regardless of how great your routine is, you will struggle if R&R is not a regular part of it. Schedule rest and energizing activities as you would any other vital part of our household schedule. Life is chaotic, and living with kids will push even a free spirit to the edge at times. The key of parenting is balance! While we all need a fine-tuned schedule, we also need room for flexibility. The sooner you can abandon your need for perfection the better! In the event that things go off base, simply modify and continue pushing ahead. You got this. Continuously recollect: self-care isn't an extravagance — it's a need. Mothers need to set aside some effort to develop themselves. We do not suddenly lose our identity when we become a mother. Regardless of whether it's just for 30 minutes in the morning when the kids are still asleep or even after bedtime, a small amount of time can go a long distance! Thirty minutes of self-care revives your patience. You will become a better mom if you pause to breathe! Make yourself some espresso if it makes you feel better. For many moms, it's waking before every other person to discover a touch of personal time. Open a few pages of a book, complete a small yoga session, write in your diary. Do you feel completely lost within motherhood? A good place to start finding yourself is to concentrate on curiosity and fascination. What grabs your attention? When you drive past the park full of flowers, do you wonder what’s currently blooming? Are you curious about how to create the perfectly balanced chicken pot pie recipe? In different seasons our fascination change. Unlock who you are right now, you may be surprised! For many of us, exercise has a negative connotation. It has been a form of shame or even punishment, originating within ourselves! Instead of focusing on changing our bodies through the scope of exercise, what if we tried becoming more in tune with our bodies? Try yoga outside on the patio after dad gets home. Or perhaps you would like to take a brisk walk with the baby in the stroller. Let the children join in the fun, and remember they’re watching how you treat your body to form their own habits. No one is going to force you to put caring for yourself as a priority. It’s something only you can choose to do. Schedule a time for yourself today.